You must complete 35 hours of Driver CPC Periodic Training every 5 years to keep your Driver Certificate of Professional Competence. Our trainers have been approved to deliver approved training courses for periodic training. To attend these courses you must hold a driver qualification card with less than five years to expiry, or your driver qualification card has already expired or you have ‘acquired rights’. If you are not sure if you are eligible, just give us a call and we will confirm eligibility for you. There is an increasing demand for driver CPC training, but drivers do still seem to be putting off training even though a lot of drivers are nearly at the end of their second driver CPC cycle. Keep up to date with your training so that you don’t have problems meeting the deadline. If you need to check how many courses you have completed you can check here. If you want to reserve a place on any of the courses, just complete the details on the enquiry form below or give us a call and we will send you details. Don’t delay reserving your place as courses are starting to fill up. You can cancel your course or rearrange the date up to two weeks before the course date(s). Dates and topics might be subject to change, and additional dates may be added from time to time. You should be aware that the government has confirmed that CPC will continue to be a requirement post BREXIT. You can read an article about this by following this link. To book or check availability please send an email to carol@mdtnorwich.co.uk or call us on 01603 443954. Courses for individuals are available at our premises. The cost for each day is £74.75 (including VAT and DVSA upload fee). Courses for companies are available at your premises or at our premises. Minimum number of delegates is 8 per day. (Price on application). Please Note: Attendance at courses is a legal requirement of your occupation. 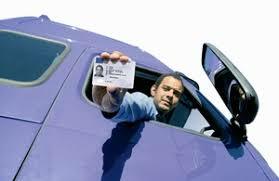 Drivers and their employers should be aware of the requirements of the drivers’ hours regulations if courses are undertaken at weekends or on other drivers’ rest days. Time spent attending a course will probably affect the amount of driving or other work they may undertake under the drivers’ hours and working time regulations.